The Full Moon on Monday 22 February 2016 is at 3 degrees Virgo, in Virgo decan 1. The full moon astrology shows a culmination of tension and conflict that has been building for months and in some cases years. Full Moon February 2015 is the final moon phase in an eclipse cycle which began in September 2015. The February 22 full moon breaks open the extreme tension of Uranus square Pluto via a rare but powerful aspect pattern. Related to the Fist of God, or Thor’s Hammer, this newly named configuration gives the opportunity to release the anger and resolve any crisis. Like all full moons, the major planetary aspect is Sun opposite Moon. Along with the conjunction, this is the most important of all aspects in astrology. A full moon focuses our attention on relationships of all kind. A full moon itself has a relationship to the previous new moon. Projects you started since the February 8 new moon can now be fine-tuned or completed, it is harvest time. As the lunar qualities of emotions and instincts reach their peak at a full moon, you can take an objective and balanced look at your personal relationships. Being in touch with your own needs and intentions, and those of others, you can clearly see any relationships imbalances causing disharmony. The influence of a full moon last for two weeks up to the next new moon, in this case the March 8 solar eclipse. This is the final full moon of an eclipse phase which began in September 2015. The two weeks leading up to the new eclipse phase beginning on March 8 will therefore be a time of completion. Outstanding issues need to be put to bed so you can start a new journey with the lest amount of emotional baggage. The more loose ends that need tidying up, the greater the feeling and anxiety you will feel, as if leaving your homework util the last minute. Putting off things can lead to an escalation in conditions to a point of crisis as the March 8 solar eclipse approaches. The major theme resulting from the combined effects of the September 2015 solar eclipse and lunar eclipse is the healing of a broken heart. It may be a love relationship, friendship or parent-child relationship that was the source of your inner pain. Whether is be a separation or a continuing unhealthy relationship, the expectations and treatment of women will be central to the problems. The February 22 full moon should compliment the theme of the February 8 new moon which was crisis management. Over the previous two weeks since the new moon, two separate crises about a new direction involving love or money may have arisen in your life. These crises are linked to the original eclipse theme of healing the broken heart and addressing imbalances in relationship dynamics. Once in a generation we experience chaotic upheaval in the world which affects all of us. Uranus square Pluto has been grinding away over the last 5 years and the February 2016 full moon forces one final evolutionary leap to complete the whole process. The theme of completion fits so well with the final moon phase of an eclipse cycle. The February 22 full moon at 03°33′ Virgo lies at the midpoint of Uranus square Pluto. This midpoint axis represents radical and extreme change that forces rapid adaption. With the Sun and Moon at either end of this axis, a total overhaul is required which will include your ego and emotions, your lifestyle and your habits, work and home etc. The red lines in the full moon February 2016 astrology chart below show that the full moon bisects the Uranus Pluto square neatly for form a symmetrical aspect pattern that looks like a kite. It is not a kite aspect pattern though, infact it does not even have a name… yet. The solid red lines inside the figure are the familiar Sun opposite Moon and Uranus square Pluto. Less familiar are the red dotted and dashed lines enclosing the figure. The are octile aspects (360° ÷ 8 = 45°), similar to the square but we are less aware of their challenging influence. For this reason, the inner stress and tension manifest externally as outwards events. These aspects represent inflexibility that results in obstacles blocking you from adapting to change. SEMISQUARE ASPECTS (45°) causes minor tensions you would prefer to ignore. However, suppressing or missing the subtle irritations results in annoying events in the outside world that do require conscious action to deal with. Sun semisquare Uranus (Sun square Uranus) requires open-mindedness and flexibility as you enter a stage of uncertainty. A buildup of nervous tension can result in unpredictable behavior on your part which can lead to abruptness, rapid changes in direction and even accidents. Without the safe and conscious release of this impulsive and rebellious energy, ego conflicts are possible. Arguments at this time would lead to loss of face and unexpected consequences, especially if you take on superiors. Sun semisquare Pluto (Sun square Pluto) increases your need to be in control, but can also lead to ego conflicts with other powerful people or authority figures. A crisis or conflict with someone makes for an intense experience which can lead to extreme or destructive behavior. Such challenges can force you into a corner where you have to either defend your position or make a major change. SESQUISQUARE ASPECTS (135°) cause frustration from a long term conflict that you would prefer to ignore. However, suppressing or missing the smoldering conflict results in a breakup of existing conditions that does require conscious action to deal with. Moon sesquisquare Uranus (Moon square Uranus) can cause rapid mood swings and impulsive reactions. You may feel jumpy and have little patience for anything requiring commitment or focus. You need extra stimulation and excitement and are likely to rebel against anyone who tries to tie you down or forced you to do something. Moon sesquisquare Pluto (Moon square Pluto) can lead to compulsive and destructive behavior as deeply buried feeling are exposed. It is difficult to control such intense emotions or reactions, and it is actually healing to get them out of your subconscious. Emotional power struggles with family or partners are possible and may become quite ruthless. If we ignore the Sun in the full moon chart above then we have a triangle with the Moon, Uranus and Pluto. The resulting aspect pattern is termed a Quadriform, Thor’s Hammer, Fist of God, or Poleaxe. It can indicate danger to the apex planet which activates a powerful survival instinct. Just as with the octile aspects, quite often the danger manifests as outside events. Some people I have known with this aspect pattern have witnessed shootings or have family members in jail because of acts of violence. They, however, always come out unscathed. But the Sun is in the Full Moon chart and creates a more complex aspect pattern. The energy dynamics will be similar to a focused Yod. In a regular Yod, like the Quadriform, the action point or focal point is where the energy is expressed. In our chart above it would be the Moon. In a Focused or Boomerang Yod, at planet is opposite the action point at the reaction point. In the case of the full moon, the reaction point is the Sun, where the energy at the moon focused up like a laser bean to the reaction point. I have given this aspect pattern the name Crossbow because it looks like one and acts like one. The square and opposition make up the frame of the weapon to deal with the conflict or crisis. The octile aspects represent the high tension of the twisted wires or rope. The buildup of tension from Uranus square Pluto arrives at the Moon, which then releases this conflict energy through the Sun. The moon (bow) launches the Sun (arrow) at a distant target. The Crossbow aspect pattern represents a release of tension which has been building for some time. Although this aspect pattern represents a complex long-term challenge or conflict, it also gives the tools necessary to release the tension and deal with the problem. This is a dangerous weapon and should not be pointed at loved ones. Conscious targeting of the anger and frustration must be leveled at a punching bag or some external threat to your welfare. This conscious aiming is made easy with the Sun at the reaction point. Nervous tension caused by emotional turmoil at the Moon can be worked out through the ego and personal goals. It is a matter or survival. The alternative to evolving due to the rapid changes of Uranus square Pluto is extinction. 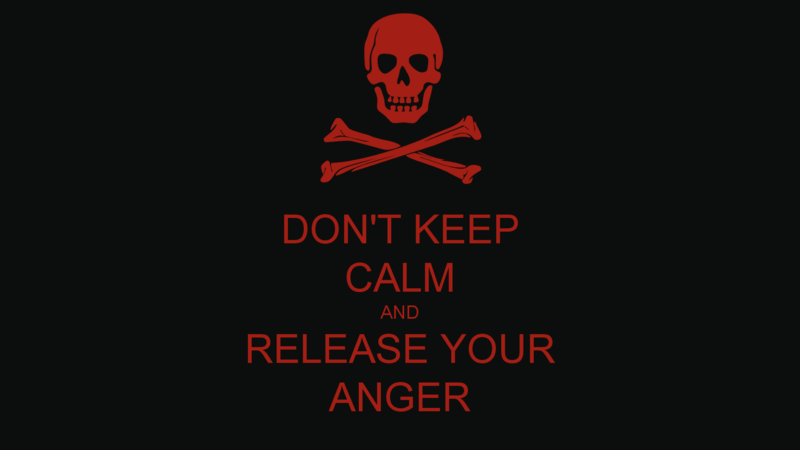 Better to release your anger on an enemy than harming yourself or a loved one. When all efforts at a peaceful solution have been exhausted, the only choice is to fight back. The February 2016 full moon has no easy way out but it does give the motivation and ruthlessness needed for a strong ego to protect itself and loved ones to ensure survival. This is the final step in a long journey of adapting to threatening and extreme changes over recent years. Fixed star Fomalhaut at 04 ♓ 04 conjunct Sun is ideal for completing this stage of spiritual evolution. It is very fortunate and powerful but can be destructive. It can be very good or very bad, and is especially powerful with the Sun. Full Moon February 2015 shows how to resolve an ongoing conflict or crisis by releasing anger. Stress has been building for years now due to the radical and extreme change of Uranus square Pluto. The full moon releases this tension at the ideal point in time with the Uranus Pluto square flexing its muscle one last time, and in this final moon phase of a eclipse cycle. Those things represented by the Moon have been overpowered by the Sun. Women or the submissive partner have been dominated by men or the dominant partner. The public has been suppressed by the authorities. Now the frustrations and seething anger of the Moon can unleash this destructive energy back at the Sun to right wrongs and balance the scales. The abused and victimized will be given the tools to regain their dignity and human rights. A mundane example of this is the Iran parliamentary elections on February 26, 2016. The radically conservative patriarchy have controlled the public for 30 years. The people of Iran have suffered more than most from the extreme change of Uranus square Pluto through sanctions and isolation. The outcome of the wars in Syria and Iraq, the fight against Islamic State, and the immigration crisis are more dependent on Iran than any other country. After all these challenges, the people of Iran are given an opportunity to resolve so much for themselves and the world. The silent majority can unleash the built up frustration and anger upon the religious extremist patriarchy by voting them out of power. That truly would be a major evolutionary leap for humanity. hi, thought i’d leave you a comment for your article for whatever benefit you find.. jan 25 ’70. i’m a “targeted individual” suffering over a decade of covert persecution that is staggeringly, preposterously unbelievable, culminating recently in the death of my mother who was protecting me. my life is so far out of balance that, yes, truly, demons are my foremost company. in fact, as insane as it sounds, i recorded not one but *two* albums with vocals by them (skilled procedural synthesis which was mysteriously and singularly intercepted by spiritual transduction. xoxos at bandcamp, dope beats for suckers and shun d. …..also, an “amazing transduction” can be witnessed searching for the phrase “BLAM i go off voodoo leffanta it’s ultraviolence” – how would you feel if a stochastic audio process issued this statement to you???!?!?! that’s my everyday life. i have an army of assholes to fight, every day.). i have lived through over a decade of events that surpass any epic, eg. gilgamesh. i’m way past tired of attempting to communicate the trials of TIs to the public (James Walbert of wired magazine renown.. we chat..), even old school friends. there is no more human society for me. anyway, i enjoyed, i suppose, reading this article, and hope you enjoyed reading this. certainly at this point, it would be foolish for me to hold higher aspirations. Mercury stationary on the major fixed star Vega may help explain mysterious communications with karmic enemies. Very intense now with Pluto on your Mercury. Hi Jamie, I have Venus in Pisces at 3 degrees. How might this eclipse affect me. Healing through issues regarding my love and relationships? Jeannette, I talk about this in your Pisces decan 1 February 2016 horoscope. Thank you for directing me – I love your insight and appreciate your response. Suddenly I could see it. The theme of healing a broken heart and how it played out for me! In the new place I looked for a job exactly like the previous one, because I really missed it and my former Colleagues. Somehow I wasn't quite finished with the past job and my new job was just like it in many ways. Somehow I tried to mend my broken (job)heart and the realization that I left it too Soon (Cancer in 6th house). But it's like when you break up with someone and then starts searching for their replica. When you find them it's great – but after a while you realize that YOU have changed too much and that the shoe doesn't fit anymore. So you break up (again) – but somehow you've healed some of your past and your heart. Good feedback Lady LaLa, it does all make sense they way you have put it, thanks! wow. I experienced something very similar. I left one job quite suddenly and moved cities. In the new city I found a job and a flat which was a replica of what I had left behind. I felt a bit over whelmed about all of it because I felt like I didn’t complete something in the old place the correct way. I kept comparing the two situation and failed to appreciated my current situation. Now I am on the bad books of my current employer as they heard me comparing the two places. Its very odd how these things happen. You can’t force healing to happen, but I think being conscious about it all helps navigate and staying present in themoment, enabling you to go with the flow on the work place. You could try to mend things by apologising to your employer, maybe also loosening your grip on the past at the same time. I think some things are meant to happen and the Universe is trying to help you heal a broken heart. Hi Shaman, I did actually think of that too but I’m sure there is already another aspect pattern with that name. I think it’s interesting that so many women in the music industry are backing Kesha in her court case against Dr. Luke right now. True Theresa, even I know about this one! I guess the same release of anger is coming through the presidential race with people backing the rebels on both sides. This was the most interesting, informative and perfectly timed piece of writing that I’ve ever read online. I can’t even express how I suddenly and acutely feel and understand everything aligning because of your words. I’m hooked from this point forward, thank you so much! One of the most detailed and spot on astrological interpretations I’ve seen. I’ve seen a lot for over 40 years. Kudos! Thank you so much Mary, Keshia and Diviner so your encouragement, I really appreciate your kind words. Thank you, Jamie, this is so accurate.. This has played out to the nines..
Glad you found it helpful Coliberi, and thanks for the compliment!